Description: October 28, 1965, Ku Klux Klan rally in a Hattiesburg (Miss.) pasture featured on the front page of the October 29, 1965, Hattiesburg American. 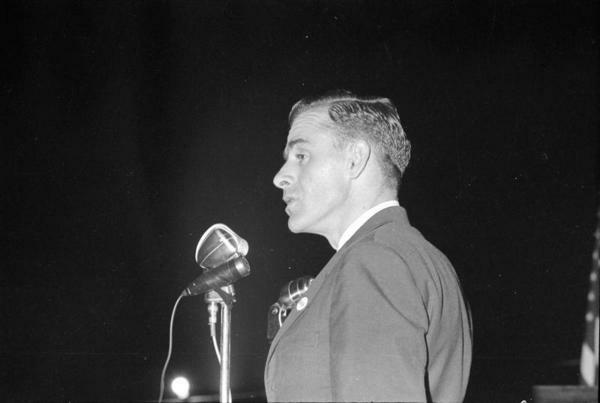 E. L. McDaniel, Grand Dragon, at microphone.